A case has been registered against four youth for attacking a man who had come to pick up the vehicle’s installment payment. After the incident the police has detained the four young men. 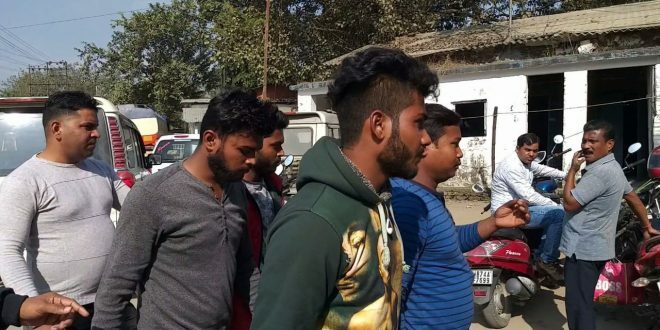 It is known that on Wednesday morning, four youths caught hold of a man named Mohammad Siraj and started beating him up, near Phulbari. At the same time, Mohammad Siraj ran from there somehow and entered a a local school. On the other hand, as soon as the incident was reported, the police reached the scene and brought the four men to the police station. NJP police is investigating the whole incident. It is also being investigated whether the four young men are working in a company or not.